I know roses are a traditional gift at this time of year, but they break all the rules about local and sustainable growing. I would much prefer a couple of bare root roses that will bloom for many seasons in my garden. 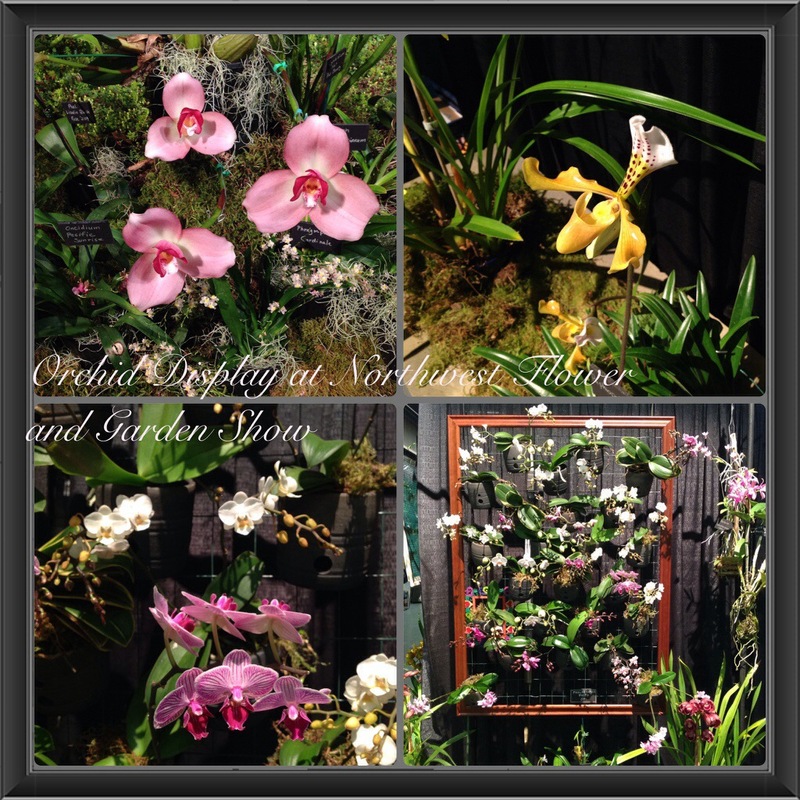 Recently at the Northwest Flower and Garden Show I admired a huge display of blooming orchids. I had a few Phaeleonopsis (moth) orchids in Minnesota that would rebloom yearly after spending the summer outdoors on the North side of our house. Here in Western Washington I unintentionally killed them after moving them and put them in my cool greenhouse. 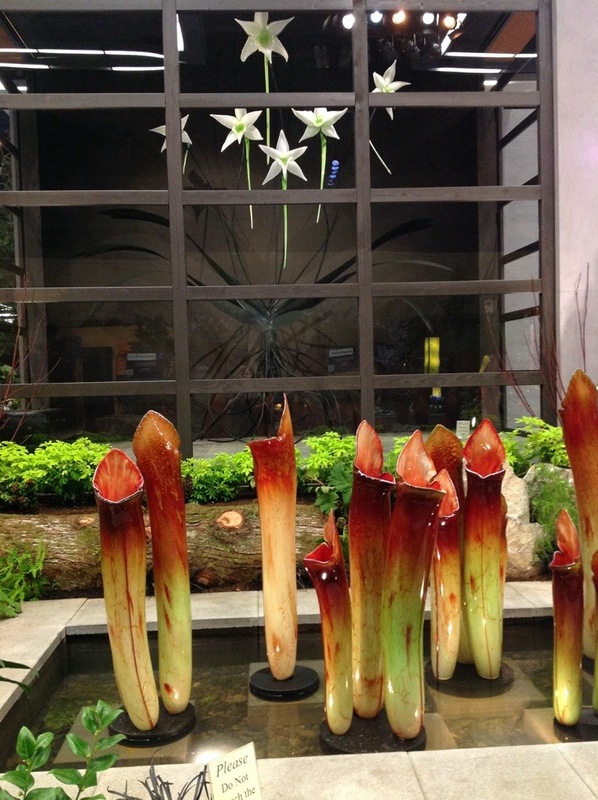 Then I bought two new ones at the 2013 NWFGS and killed them too. What am I doing wrong? There was one small section of a display garden that just looked wacky to me. The designer has obviously never grown asparagus. It looks like someone needed to fill some space and walked into a grocery store here. 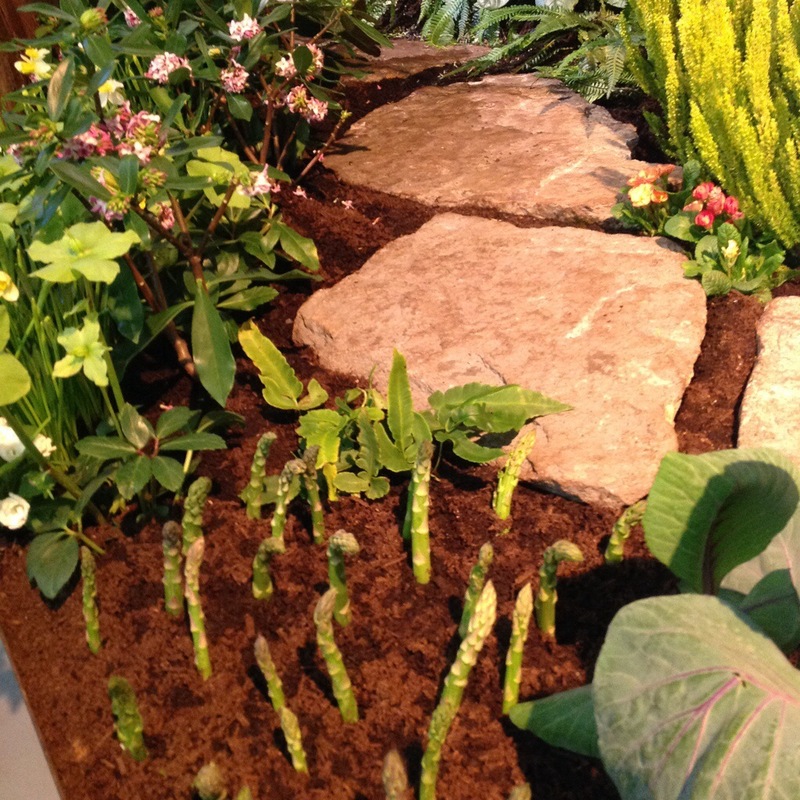 No one would really grow asparagus in this spot. This annual event begins the growing season for me. 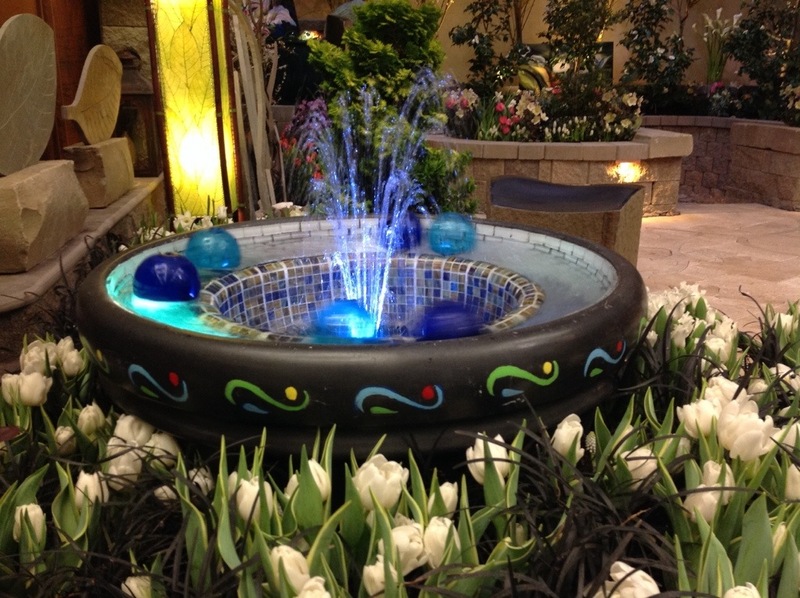 Inspirational gardens and lots of new products to buy and try. This year I was inspired to try growing plants in containers as decoration for the garden. 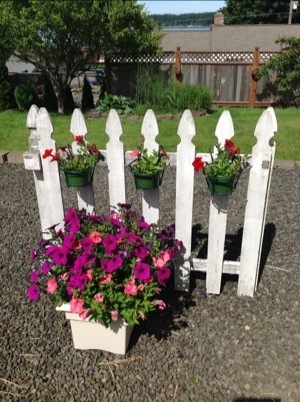 Pinterest and #gardenchat gave me interesting ideas. 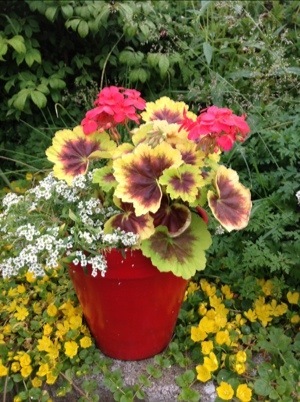 The yellow pansy pot has lots of textures. 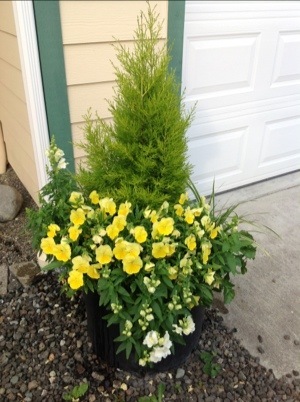 It was inspired by a free pansy plant I got at the NW Flower and Garden Show. This spring I removed a fence but left up two sections to see what I could do. The red pot is one of a trio that I saw on Pinterest. Do you grow in containers? Where do you get ideas? 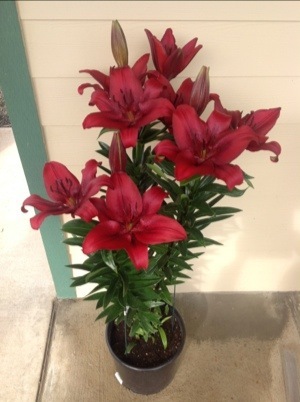 This is the first year I have grown Oriental lily bulbs. 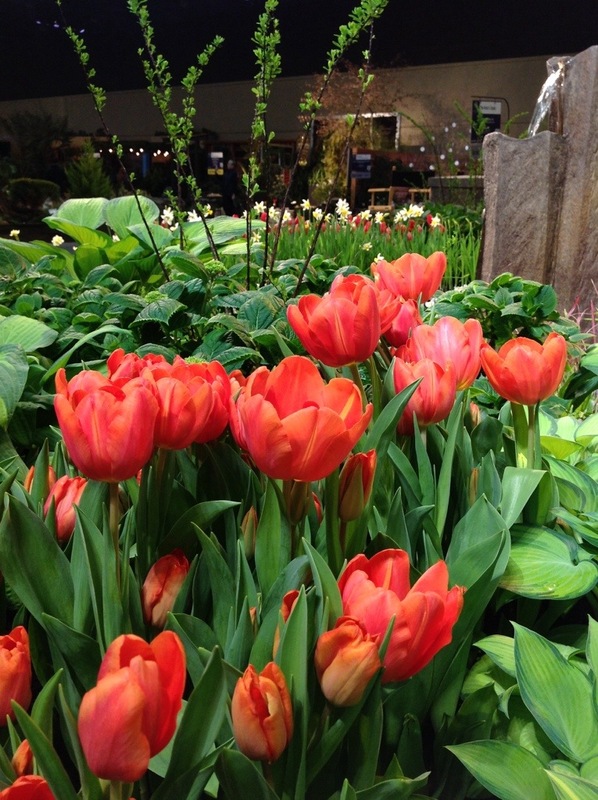 I purchased three bulbs at the Northwest Flower and Garden Show in February and planted them in a pot in March. All I can say is WOW! The variety is ‘Original Love’.